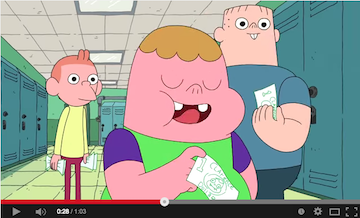 Cartoon Network has made a huge hit with it’s new animated series Clarence. Clarence is a silly, goofy but lovable kid that my kids go crazy for. Whenever I hear them laughing hysterically in the next room, I can almost guarantee they are watching Clarence on TV. But not they won’t have to wait for new episodes to air to watch Clarence because they can watch the hit show anytime on DVD with Cartoon Networks Clarence: Mystery Piñata. Produced by Cartoon Network Studios, Clarence has emerged as a top-rated comedy series for the network during its first season run. During each month new episodes aired on the network, an average of 6 million kids 6-14 and nearly 4 million boys 6-14 tuned in to watch the series – along with Steven Universe – according to Nielsen NPower data, making it the #1 show among kids and boys 6-11, kids and boys 6-14, and boys 9-14 in its timeslot across cable and broadcast networks. This is such a funny DVD and if your kids love Clarence then they’ll love having all of the episodes together. 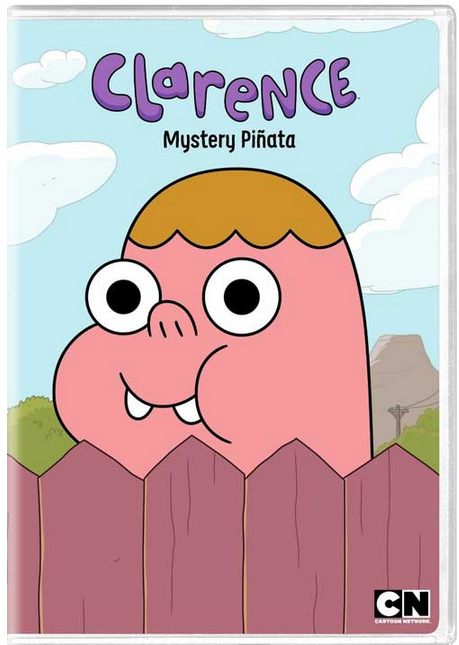 Cartoon Networks Clarence: Mystery Piñata releases onto DVD February 10th.